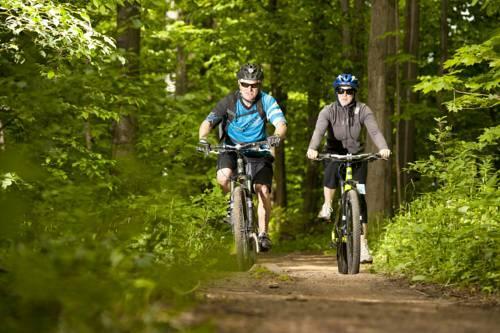 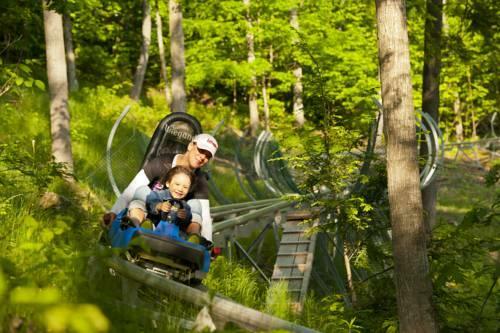 The Blue Mountain Resort is a popular year-round choice for those looking for ample on-site recreational activities. 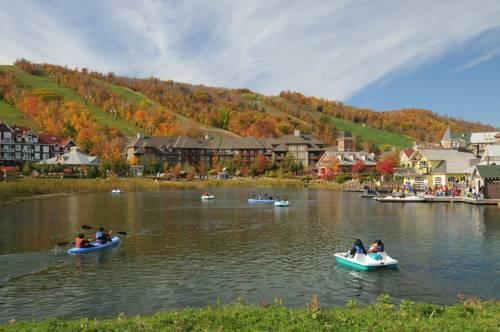 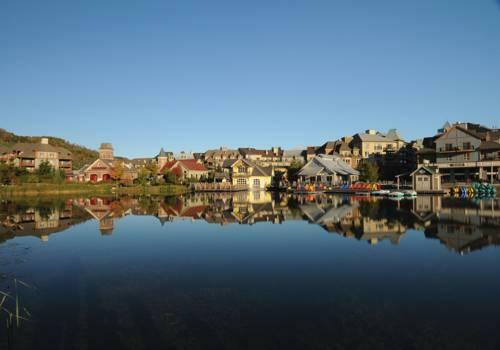 This resort includes a central village area that is surrounded by recreational facilities that include skiing, tubing, ice skating, an aquatic centre, golf, zip-lining, segway tours, rope courses, hiking, mountain biking, a beach and a mountain roller coaster. 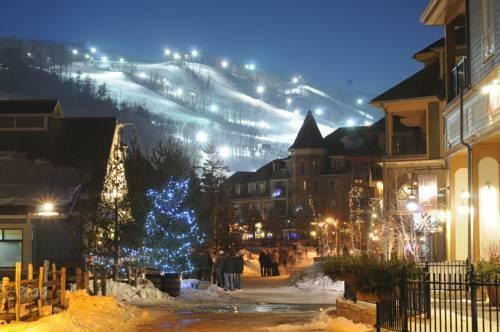 Mosaϊc is a boutique-style hotel that offers both rooms and townhouse accommodations, within the Blue Mountain Village. 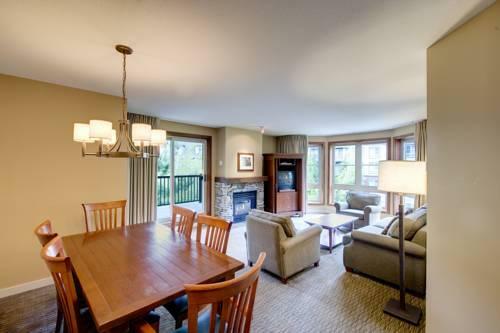 This property offers a private courtyard, guest BBQs, a hot tub, a sauna and a fitness centre. 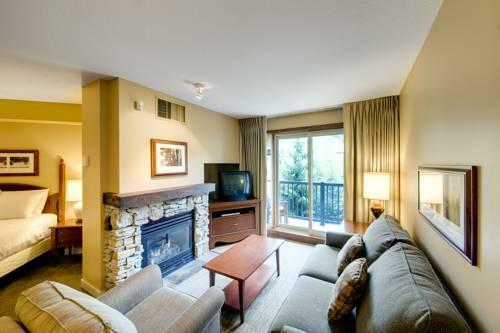 For other in-village accommodations, there are three different all-suite hotels that offer studio, one-, two- and three-bedroom suites. 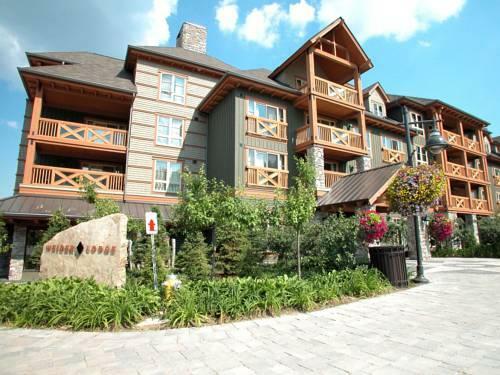 The Blue Mountain Inn is promoted as the most budget-friendly property in the village area. 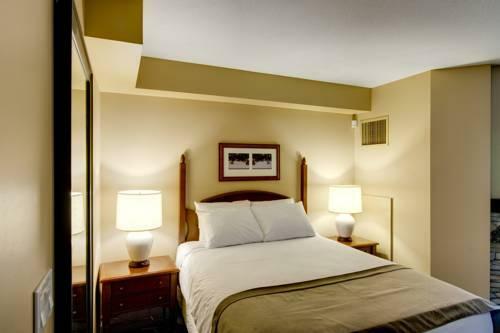 All rooms at this hotel include air conditioning, a flat screen cable TV, a hair dryer, an iron and ironing board, a mini fridge, a coffeemaker and a desk. 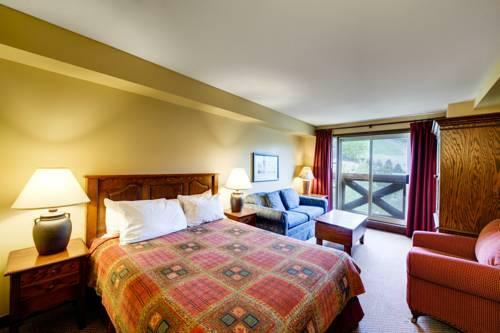 Accessible rooms are available at this hotel and this property also features a restaurant, a bar, a spa, an indoor pool and multiple hot tubs. 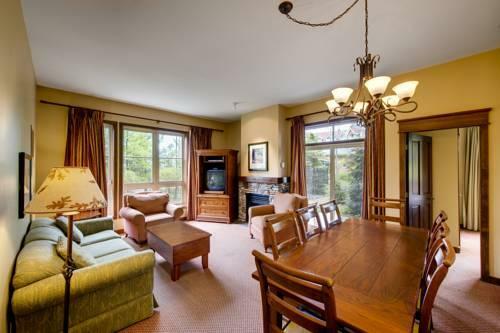 A variety of home and townhouse rentals are available outside the village area, which offer full kitchens, living rooms, separate bedrooms and a fireplace. 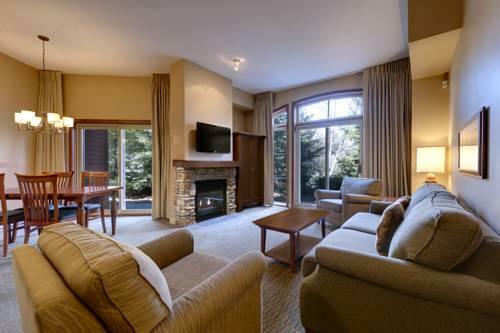 While some of these properties are away from the ski slopes, some of these rentals are situated on the Monterra Golf Course. 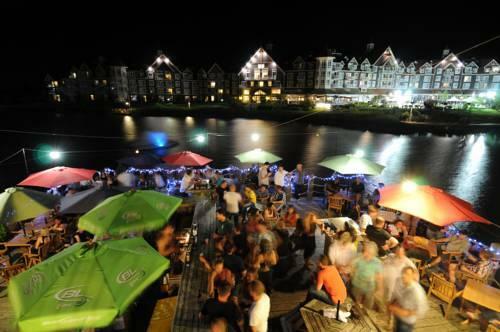 The Westin Trillium House Blue Mountain, situated on the waterfront, provides more luxurious accommodations. 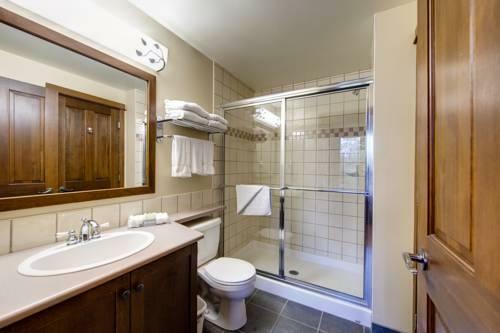 Select rooms at this hotel include kitchenettes or full kitchens and the property features an outdoor heated pool, hot tubs, restaurants, a fitness centre and a games room. 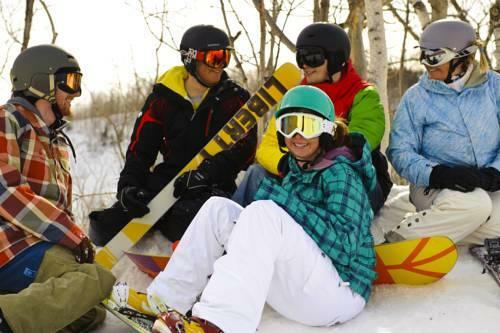 Free shuttle service is available daily and provides transportation from all the above-mentioned properties to various attractions on the resort. 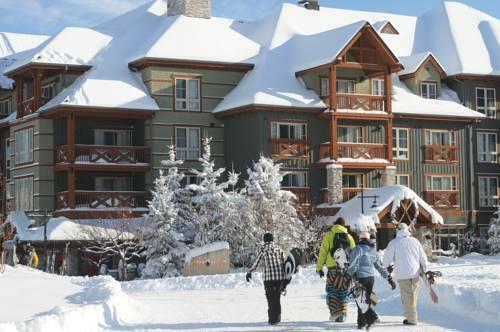 The shuttle stops at designated shuttle huts every 15 to 20 minutes from 8 am to 10:30 pm. 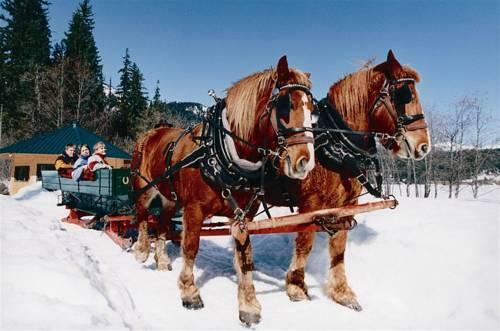 Shuttle service outside these times may be arranged on demand. 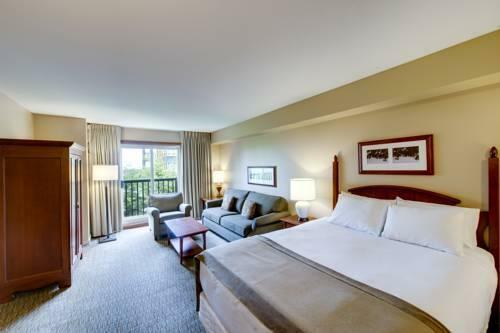 Wi-Fi service, parking and pet policies vary among the above-mentioned properties and guests are encouraged to contact the hotel of their choice for details. 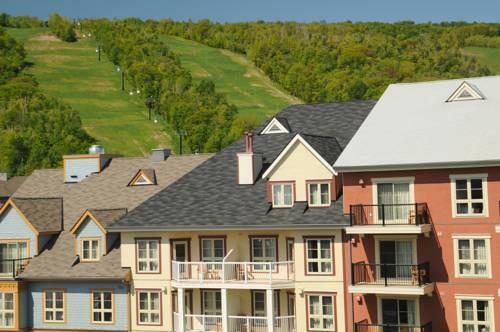 However, public parking at the ski slopes is free. 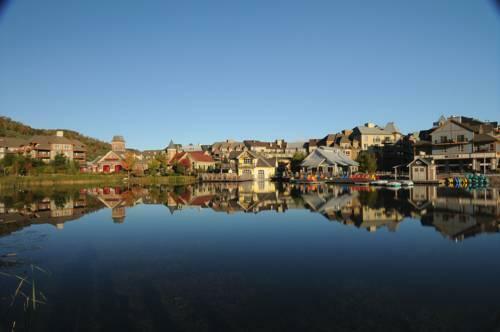 There are multiple dining options within the village area, including fine dining, casual dining, fast food, cafes and nightlife venues. 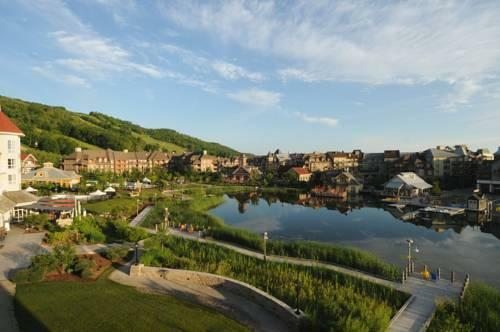 Other amenities within the village include apparel stores, gift shops, beauty and jewellery stores, and sporting goods sales and rentals. 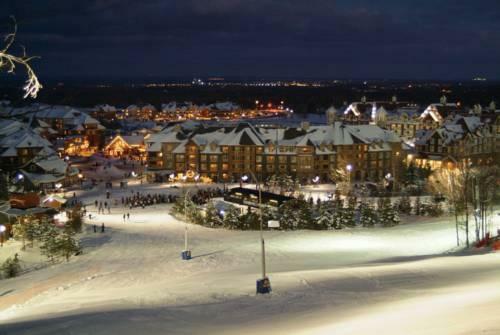 This resort also hosts various festivals and events throughout the year. 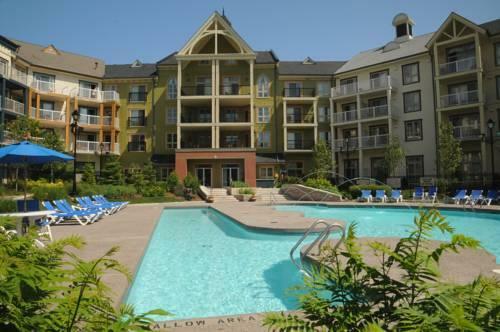 Most lodging properties offer swimming pools and hot tubs. 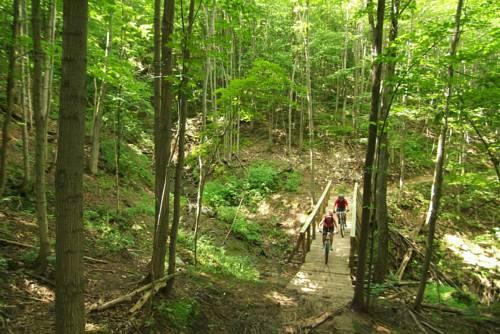 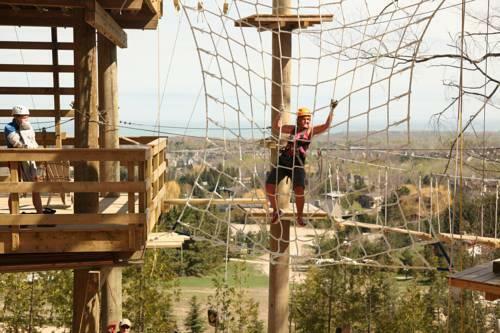 This resort is located within a 5-minute drive of Highway 26, while the Collingwood Scenic Caves and the Craigleith Provincial Park are both within 6 minutes of the resort by car. 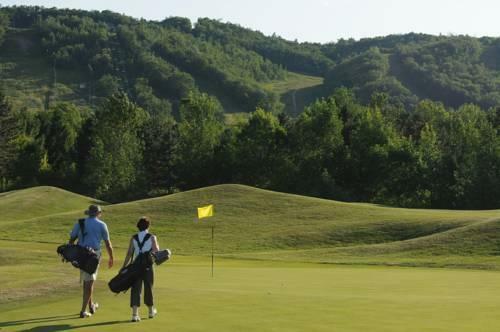 There are two golf courses within an 8-minute drive of the resort, while the Collingwood city centre area is about 15 minutes away by car. 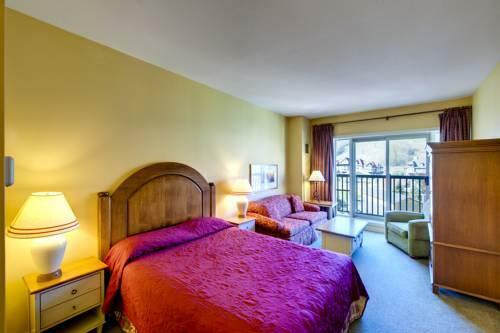 Among the reviews used for this analysis, many guests seemed to enjoy their experiences at this resort. 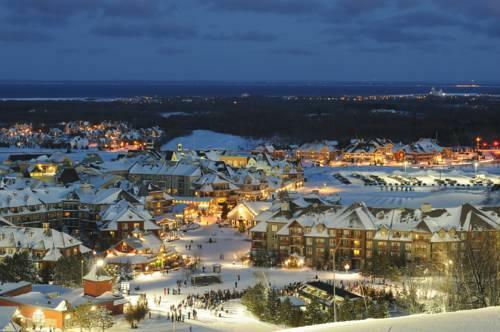 One reviewer thought that Blue Mountain was "the best destination for skiing in Ontario", while another guest described the resort in general as "a beautiful scenic resort that is great no matter what season". 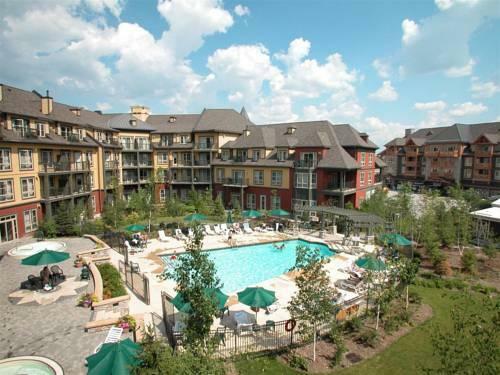 Many guests enjoyed the ambiance and amenities of the village area, with a few reviewers specifically mentioning the variety of shopping available. 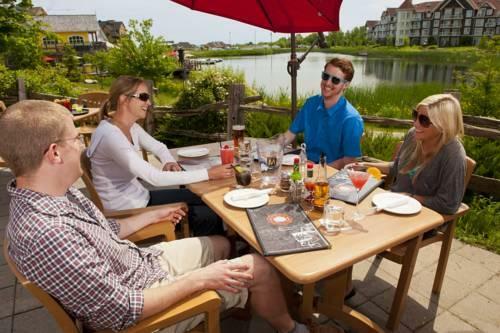 Many reviewers praised the food served at the village restaurants. 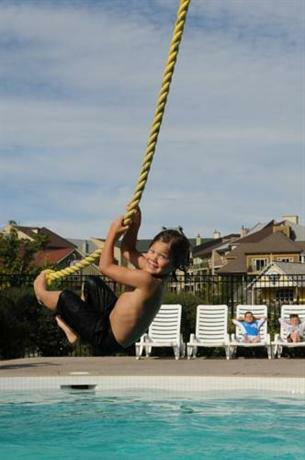 Many reviewers agreed that there were plenty of things to do at this resort for the whole family. 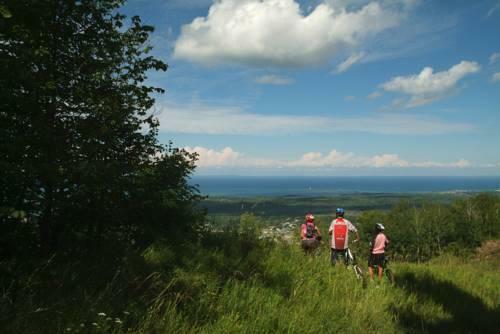 Guests mentioned mountain biking, skating, hiking, skiing and Segway tours. 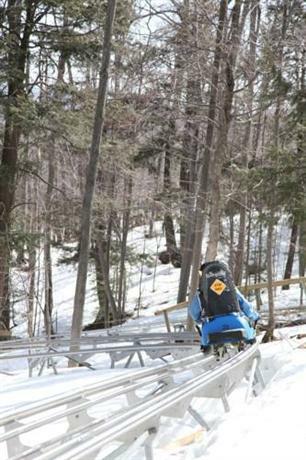 Many guests found the ski trails well maintained, while a couple of reviewers enjoyed on-site events and festivals. 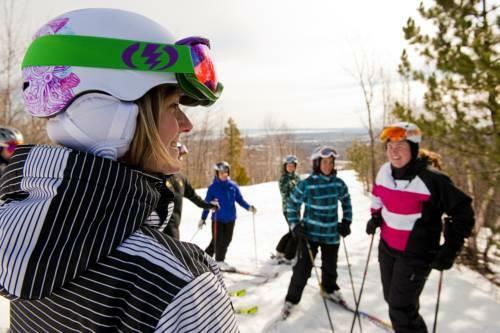 Several guests complimented the staff and instructors throughout the resort for their friendly and helpful service. 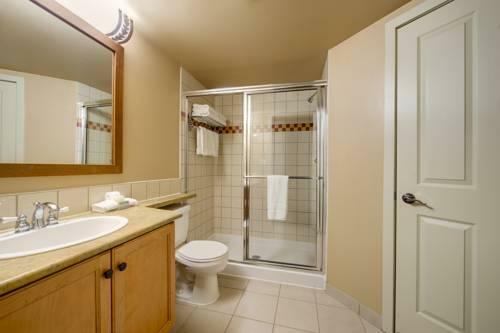 A couple of reviewers found the on-site accommodations to be generally comfortable. 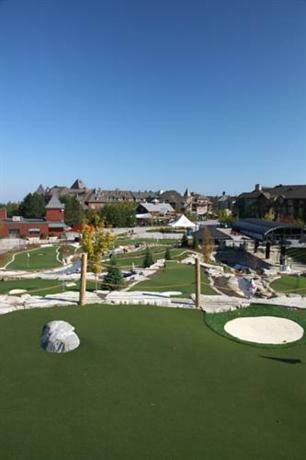 There were very few concerns or complaints found for this resort, among the reviews sourced for this editorial. 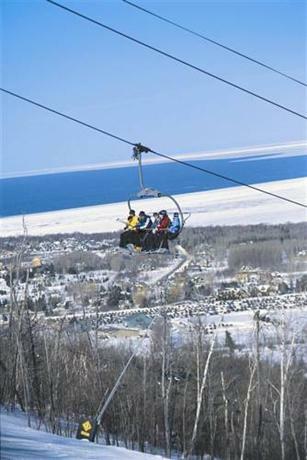 However, a couple of guests found long ski lift lines, while a couple of other reviewers thought that the prices at the village area restaurants were expensive. 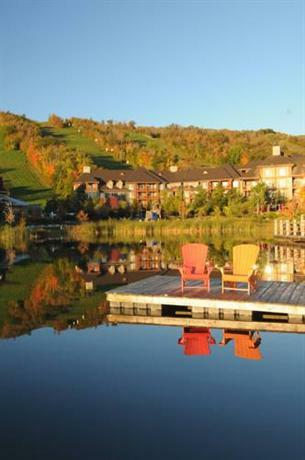 TripAdvisor.ca ranked this property #4 out of 7 attractions in the Blue Mountain based on 133 reviews. 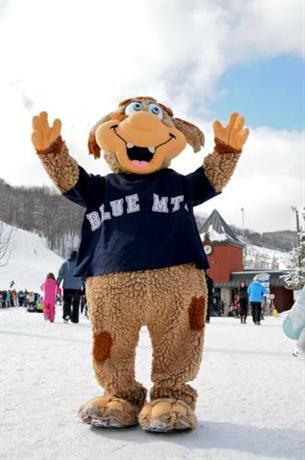 The average guest rating for Blue Mountain Resort is 8.1 out of 10 based on 47 reviews from past guests. 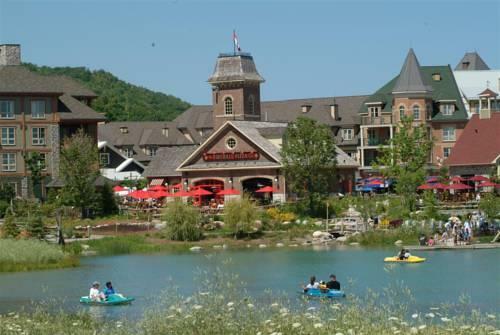 This average guest rating ranks Blue Mountain Resort at #3 out of 5 hotels in The Blue Mountains.